This is a class that is put together by one of our certified trainers. The class will be different almost every time and usually encompasses total body strength training with a cardio vascular workout. The class is a high intensity interval training style boot camp. 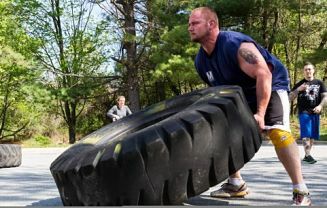 Involving everything from dumbbells, kettle bells, tires, and medicine balls.